Hitesh Kathuria has completed the Management Development Program from Harvard University. He holds a Ph.D. in Biochemistry and Molecular Biology. He joined the office of Collaborative Academic Programs from Indiana University East where he was the Associate Dean, School of Natural Science and Mathematics. 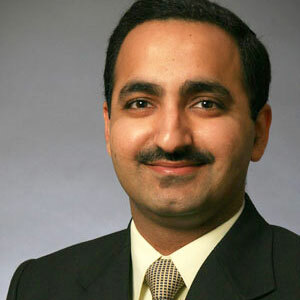 Hitesh has extensive experience creating new degree programs. He created and taught several online classes in Chemistry and Biochemistry. In the Office of Collaborative Academic Programs, Hitesh works with faculty and administrators across Indiana University campuses to create new online programs.